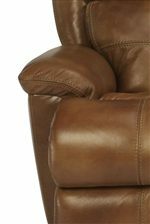 Comfort will arrive in style when you bring the Cruise Control power reclining sofa into your home. With its high density attached cushion back and seat, this sofa will easily become your destination of choice to sit and relax after a long day work. A detailed cushion back, generous seat depth and over stuffed armrests confirm that this double reclining sofa is brimming with comfort and warm, contemporary appeal. 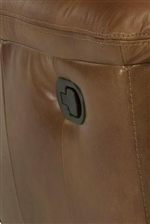 An advanced power recline mechanism allows for easy relaxation, letting you kick up your feet with the mere push of a button. No home should be without the Cruise Control sofa. 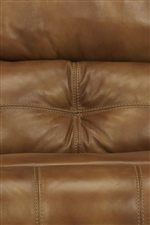 The Latitudes - Cruise Control Comfortable Power Reclining Sofa for Casual Family Room Decor by Flexsteel at AHFA in the area. Product availability may vary. Contact us for the most current availability on this product.